When selling something as expensive as cars you need to hook prospective clients and ensure them you are the one who offers the best possible vehicles. As a Sales Manager you should learn how to control a conversation and most of all you need to make a personal connection that will allow you to build trust and complete the sale. A great way to assist this mentally and emotionally challenging process is to hand your customers a professionally designed business card so that they can keep in touch with you if it takes them days or weeks to make a decision. 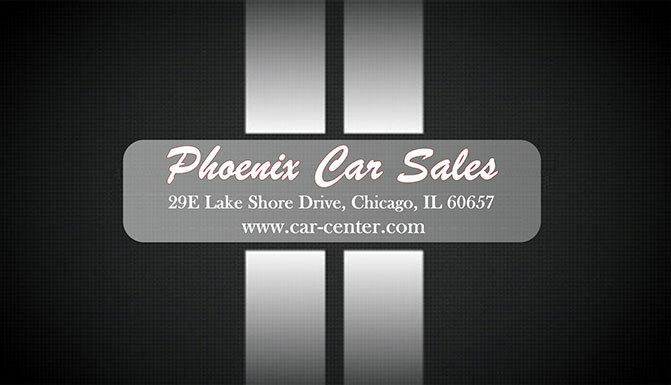 In these situations car dealer business cards are the best way to make a good impression, maintain the connection and keep them coming back to you. Business cards allow you to give out contact details in a sleek and beautiful form that will be held on to and remembered. These easy-to-read reminders should present all the information your customers need and stand out from other designs so that they call the phone number shown on your card. If you are looking for high quality car dealer business cards that you will proudly hand to your customers, you can either hire a professional designer or try making a customized card yourself. 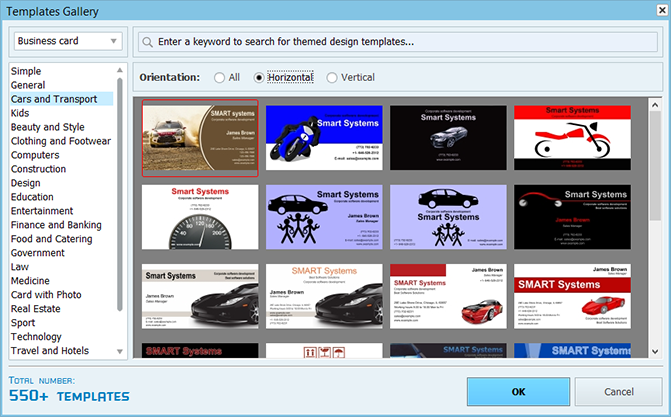 With a proper business card design app like Business Card Maker, you get full access to 550+ themed templates, numerous editing features, database capabilities and print options – everything you may need to create a perfect calling card. 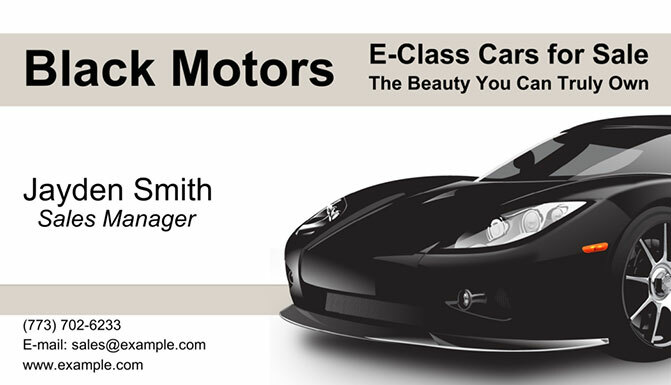 Check out these business card examples and learn how to sell cars with style! However simple and minimalistic this design may seem, it still sends a powerful message. Two white stripes stretching through the whole card remind of a sports car or Formula 1 races. Using these symbols you do not overload your design with distracting details like car images or your own photo, and as a result lay a greater stress on the contact information. You should also pay attention to the black texture background that makes your card look sleek and modern. The italic font chosen for the company’s name seems rather elegant and immediately draws the viewer’s attention. While you can use built-in graphics or your own custom photo, sometimes all you really need for a car dealership is a simple, polished business card made with a texture or solid color. In this case, a bright silhouette on the black background not only looks stylish but also gives the reins to one’s imagination. While working on your business card, make sure you have chosen the right color combination that creates a well-balanced composition and lets wannabe customers believe in your proficiency. 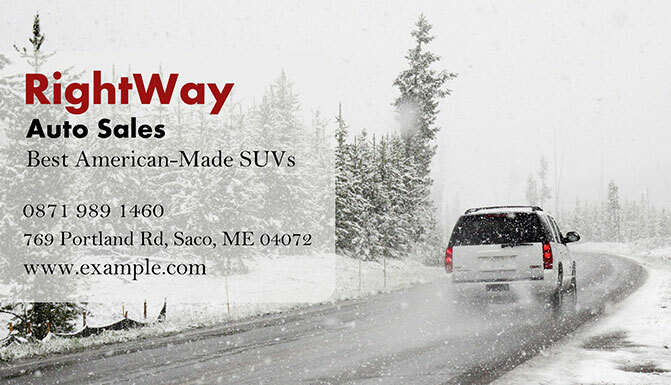 When you want to make car dealer business cards for the sales department, you instantly think of the images displaying a passenger car, truck or minivan. If this choice of graphics seems too obvious and well-used, you can still funk up your design with some additional embellishments, unique text fonts or simply reposition the car picture on your card. The most important thing to remember is that your business card images sometimes carry more weight than the text captions so you need to choose wisely. All those who seek one-of-a-kind designs and want to try something new should definitely take a look at this business card. 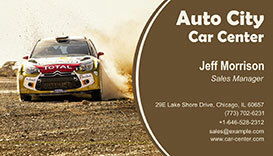 This bold background image allows you to showcase your own skill and taste in cars to everyone who receives the card. What is more, a creative business card will help you grow roots in the professional community and make your brand recognizable at a glance. Do not be afraid of adding a personal touch and an element of fun to your corporate designs since customers will certainly appreciate it. 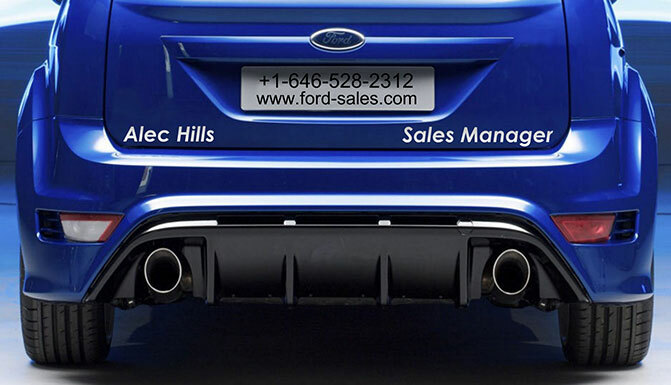 The car industry is so expansive and competitive that you need to use the best efforts in order to create a business card stating your specialty. You can easily achieve this with the help of an effective image selection. Try showing your product in motion or from all possible angles to provoke the prospective buyer’s interest. The most important rule is to use only high quality photographs as the background images and choose the right text font so that your contacts will be clearly visible. After you have looked through these card examples and got the hang of Business Card Maker software, it is high time to recreate some cards with your own hands or get inspired to make your own design from scratch. Whatever you choose, you will surely improve your brand and spread the word. 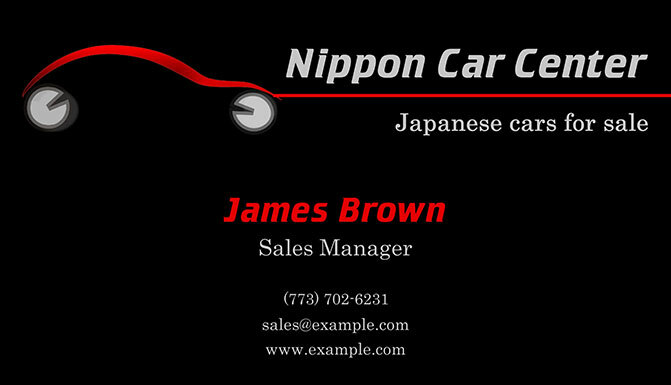 Build a strong identity for your dealership by making perfect car dealer business cards for your entire staff!